At Sonoran Tree Service we care about your trees! We strive to keep on top of the latest research and recommendations in tree care. 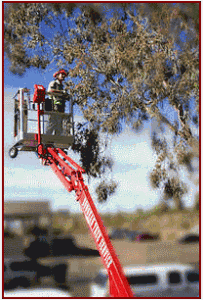 We follow all applicable ANSI standards, including both pruning and safety standards. Rest assured that your trees will be trimmed correctly and safely! Proper trimming leaves your trees looking beautiful, not butchered. We typically clean up and correct previous improper pruning cuts, raise & thin your trees per your request. We also follow and can advise on recommended standards for percent removal allowed per year. Sonoran Tree Service also carries General Liability Insurance and the correct Workers Compensation Insurance for work above 15ft.